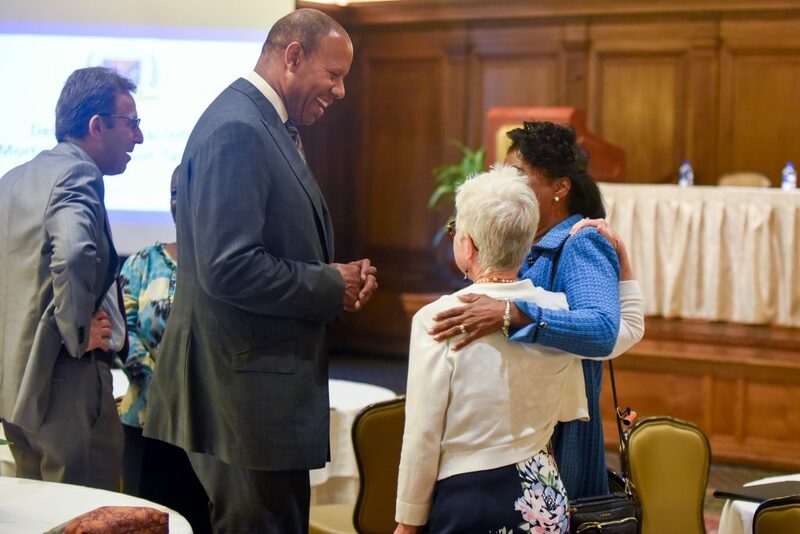 In 2008, alarmed by persistently high regional infant mortality rates and gaping health disparities, four Detroit-serving health system CEOs formed the Detroit Regional Infant Mortality Reduction Task Force to find lasting, collaborative solutions. 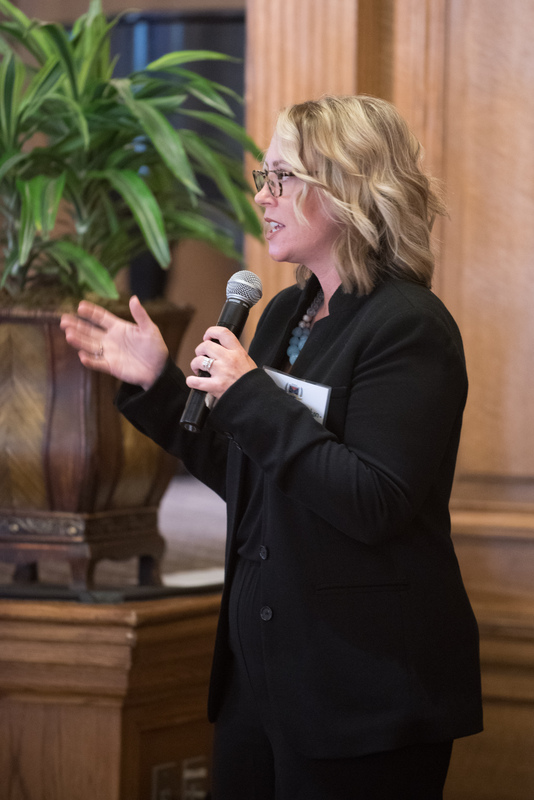 A true public-private partnership, the Task Force represents a range of expertise and perspectives, from clinical to community, from programmatic to policy, environment and behavior change. 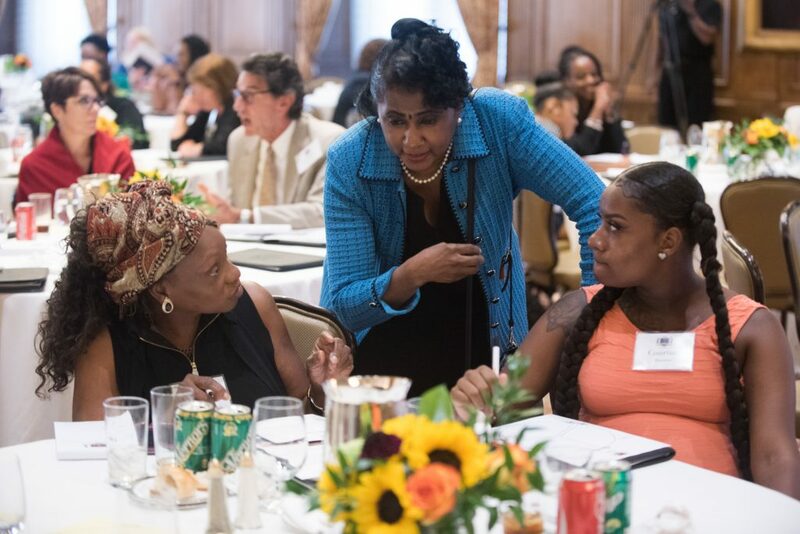 In 2011, the Task Force proposed an innovative, evidence-based approach, now known as the Women-Inspired Neighborhood (WIN) Network: Detroit, using community health workers, social media, and provider education on the Health Equity framework, receiving initial funding from The Kresge Foundation, the Robert Wood Johnson Foundation, the W.K. 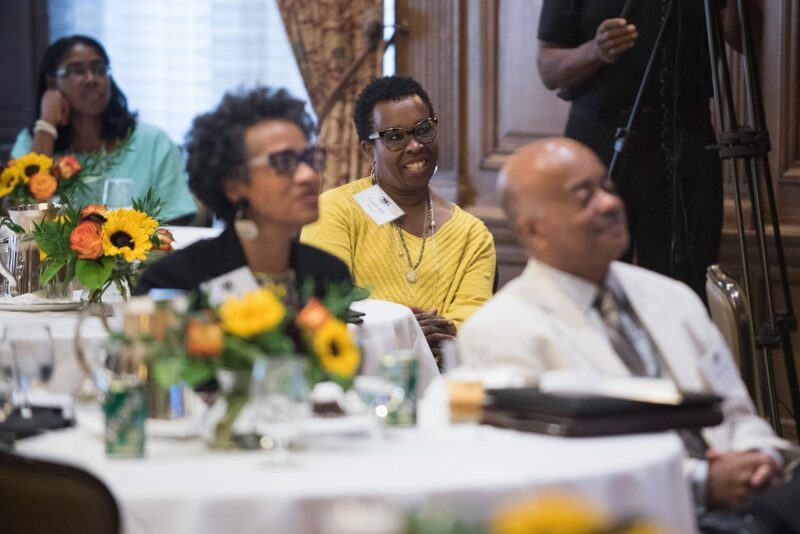 Kellogg Foundation, PNC Foundation, the four participating health systems, and the University of Michigan School of Public Health. Wright L. Lassiter III attends the 10th Anniversary Summit. To commemorate a decade of work to reduce infant mortality, the Task Force held its 10th Anniversary Summit on September 5, 2018 at the Detroit Athletic Club, attended by leaders in maternal and child health from across Metro Detroit and beyond. 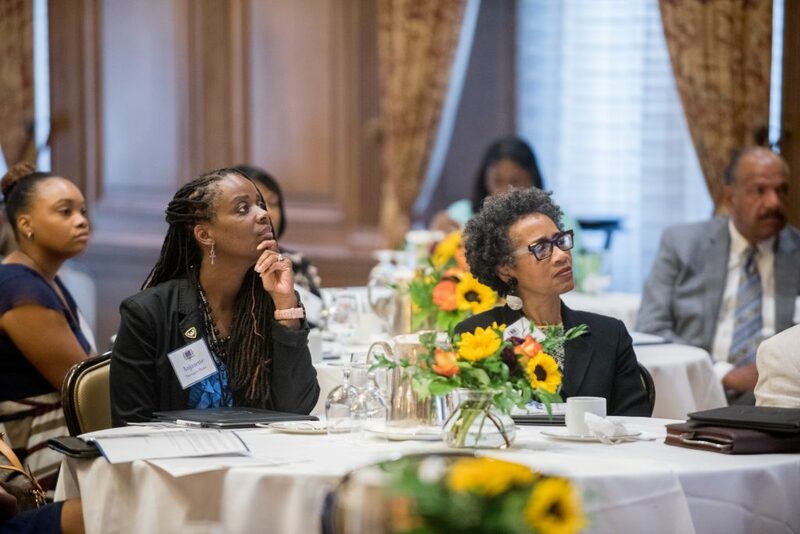 After an opening from chairperson of the Task Force Dr. Kimberlydawn Wisdom and a welcome address by Wright L. Lassiter III, CEO of Henry Ford Health System, the day continued with reflection, strategizing for the next ten years, and the unveiling of new initiatives. Dr. Cheryl Gibson Fountain delivers her keynote address. Dr. Joneigh Khaldun gives Summit attendees an update on Michigan infant mortality data. 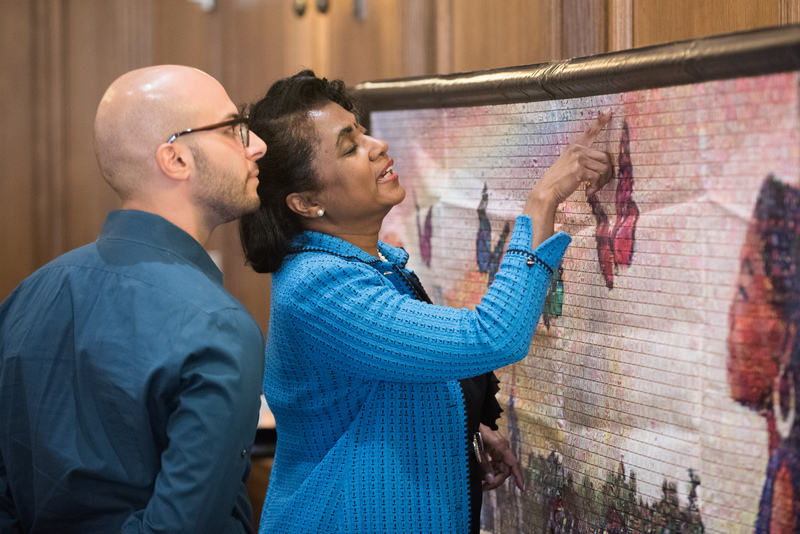 Dr. Kimberlydawn Wisdom points out the drawing she contributed to the Expecting mural. WIN Network’s mural, Expecting, was on display at the Summit. 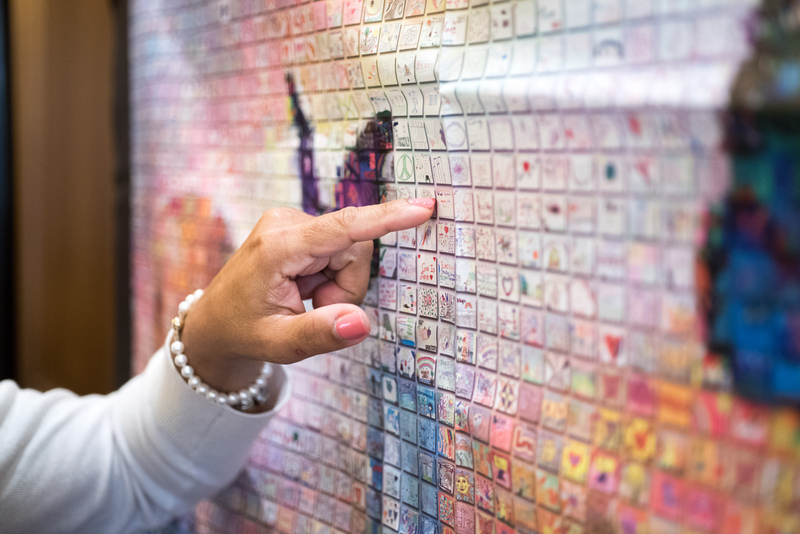 Expecting was created in partnership with Project: SNAP, and is made up of over 1400 individual pieces of art drawn by community members in 2015. Participants were asked to draw their representation of health, wellness, and happiness in Detroit to be made into the composite mural. Expecting was chosen as a winner of the Visualizing Health Equity Art Contest by the National Academy of Medicine in 2017. Ginny Ehrlich presents the One Key Question ® Initiative. 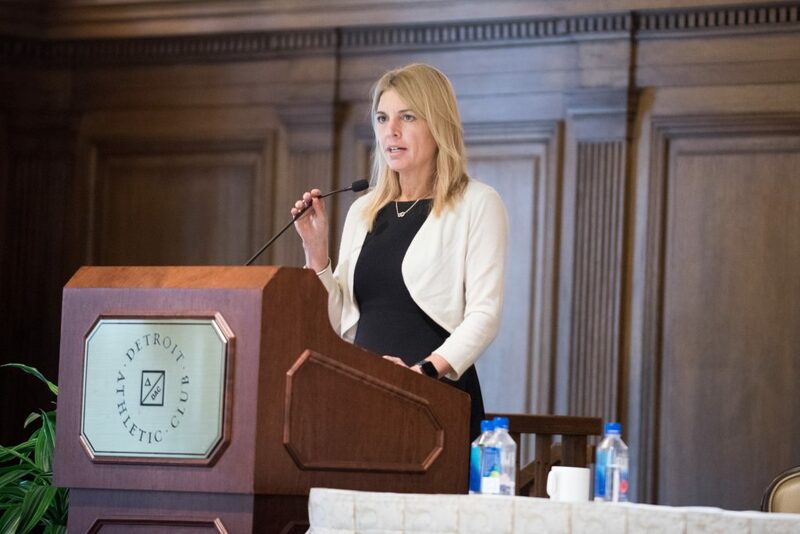 At the Summit, a new plan to bring the One Key Question ® initiative to Metro Detroit health systems was detailed. 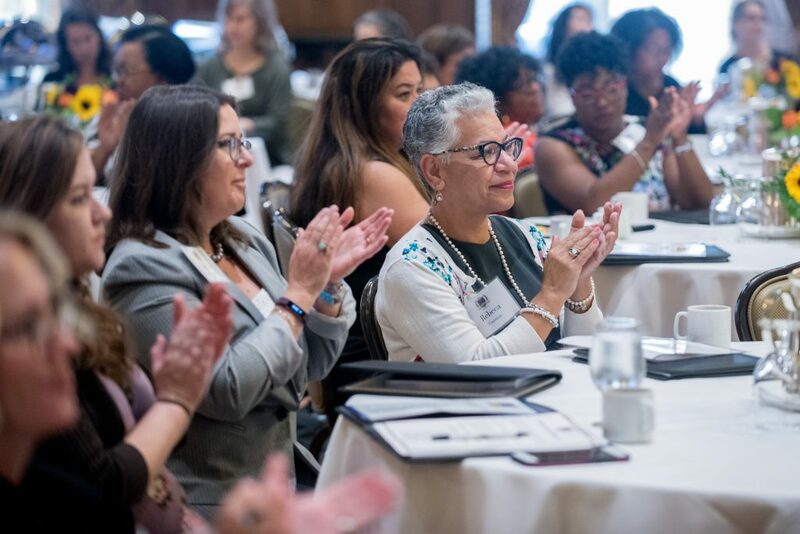 Ginny Ehrlich, CEO of Power to Decide, described the One Key Question initiative, which encourages all primary care health teams to routinely ask women of reproductive age, “Would you like to become pregnant in the next year?” and have four response options of Yes, No, Unsure, and OK Either Way. Women are then offered follow-up preventive reproductive health services depending on their needs. Including OKQ as a pregnancy intention screening in primary care promises to decease unintended pregnancy and improve the health of wanted pregnancies. OKQ puts the needs and desires of women at the forefront of conversations about family planning. 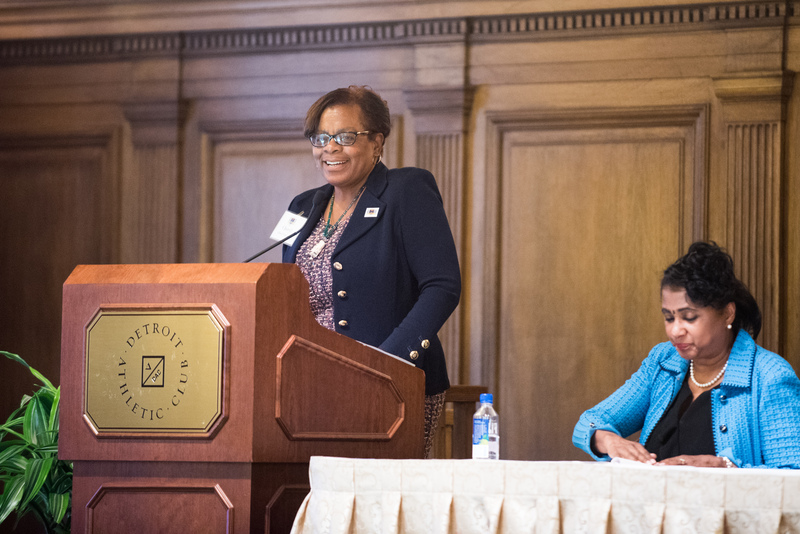 Along with Power to Decide, March of Dimes is leading the effort to bring this initiative to Detroit. 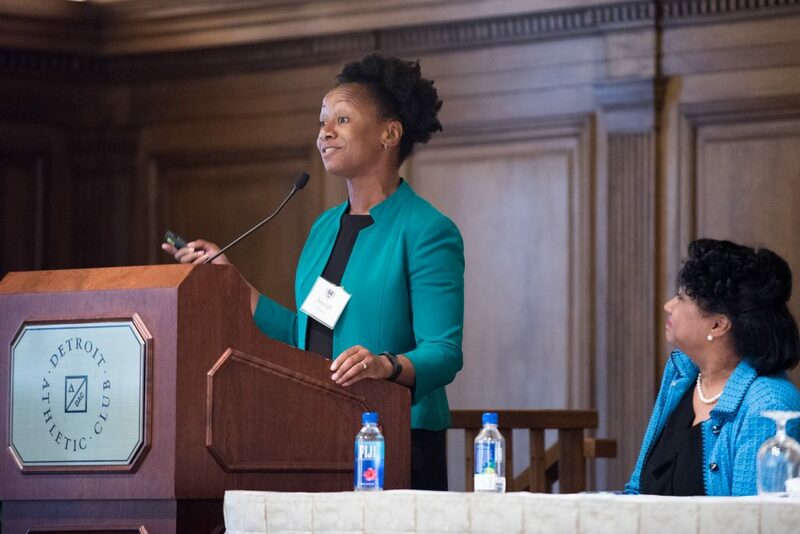 Kara Hamilton-McGraw, Director of Mission and Government Affairs at March of Dimes, explained March of Dimes’ role in expanding access to family planning in order to improve birth outcomes. WIN Network mom Courtney and her Community Health Worker, Felicia. 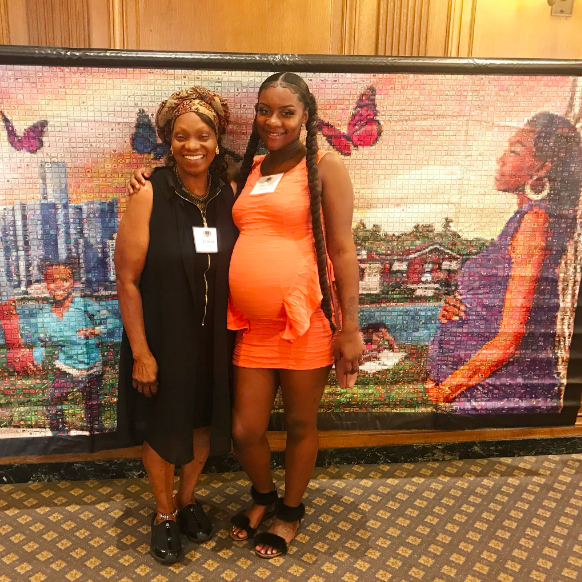 WIN Network group prenatal care mom, Courtney, attended the Task Force Summit with her Community Health Worker, Felicia. Courtney is due to have her first child, a boy, in a matter of weeks. Courtney has been receiving 1 on 1 support from Felicia throughout her pregnancy with group prenatal care. 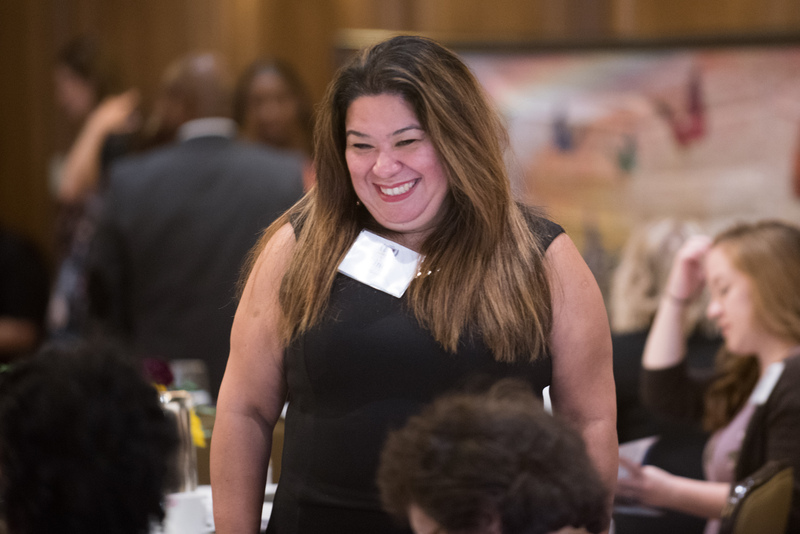 After a day of learning and reflection, Summit participants worked to plan the direction of the Task Force’s future. 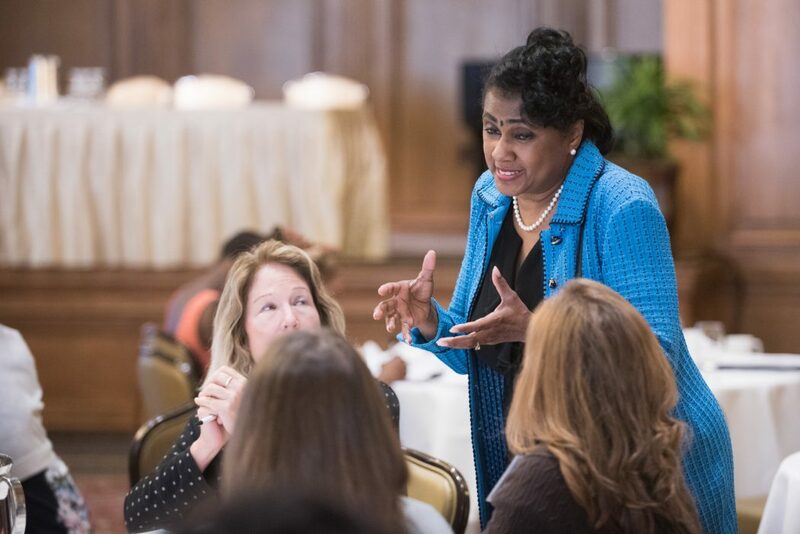 “Who are we missing in the fight against infant mortality?,” “Who do we need to partner with?,” and “How can we cross the bridge over obstacles and barriers?” were just some of the questions participants collaborated to answer. 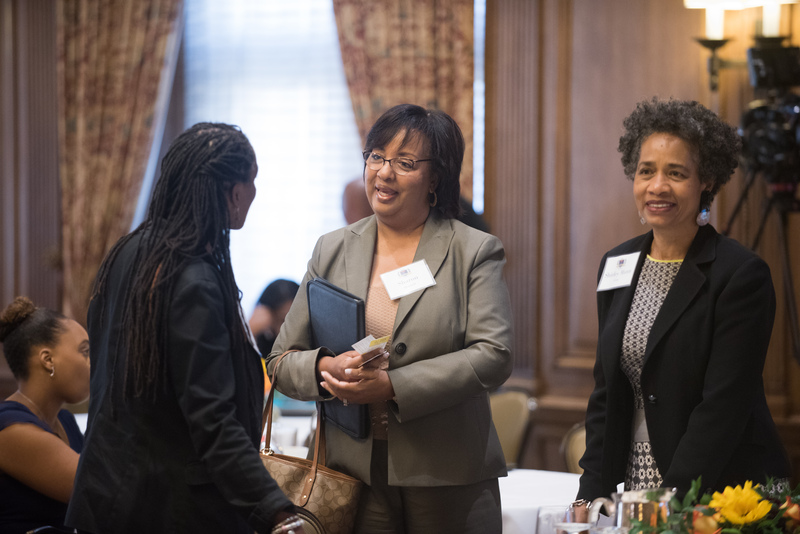 See more photos from the Detroit Regional Infant Mortality Reduction Task Force 10th Anniversary Summit below.